Who: moe, Umphrey’s McGee, Willie Nelson, Method Man and Redman, Keller Williams, Les Claypool, Girl Talk, Gomez and many more! The Scene: Summer Camp opened their gates for the first time back in 2001, but this was my first time attending. It’s one of the smaller festivals on the circuit, but word on the street is that it could double in size next year. For a real taste of the scene, check out my Summer Camp photo gallery. 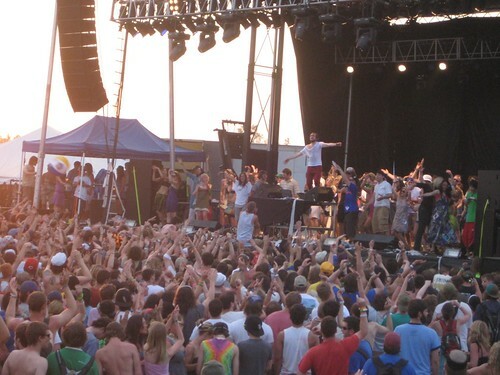 Unlike other festivals, Summer Camp is staying true to one musical genre — jam bands. 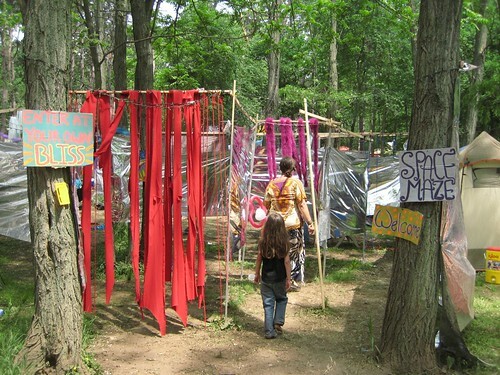 With over 70 artists, mostly jam bands, Summer Camp was a full blown hippie haven. If you like moe. then you will love this festival. They have headlined every single year. There were a few exceptions, like party starters Girl Talk and Method Man. Here’s a big tip if you plan on going next year. Arrive early. You can pitch your tent wherever you want! Of course there is a VIP area and stages, but other than that it’s a free for all. And in all that chaos, it’s easy to lose your tent. My advice: Dress it up. Bring signs, streamers, and drop a path of Cheetos whenever you leave your campsite. One more tip. Invest in a camping potty. I’m not going to get into details because it makes me vomit. Where do you buy a portable toilet?Other than having to pee in a cup all weekend, I had a great time at Summer Camp. See you next year! Each week, our resident festival expert drops in on a different party and reports back on The Scene.